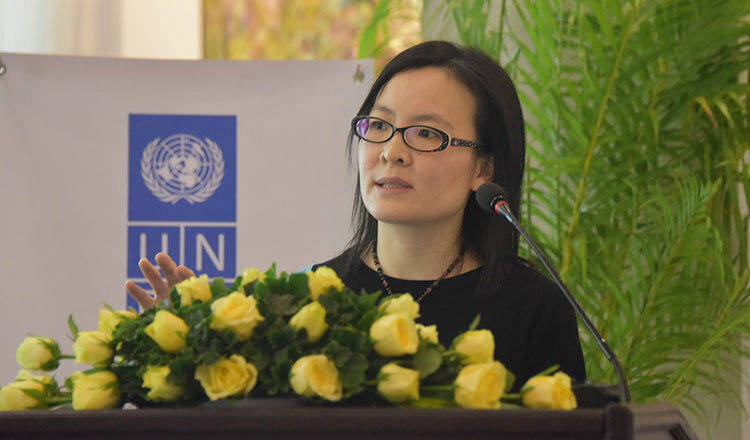 Yuen Yuen Ang, associate professor of political science at the University of Michigan and the author of ‘How China Escaped the Poverty Trap’, lauded Cambodia’s efforts to revive the traditional silk weaving industry, saying it was the right way to go in empowering local communities. 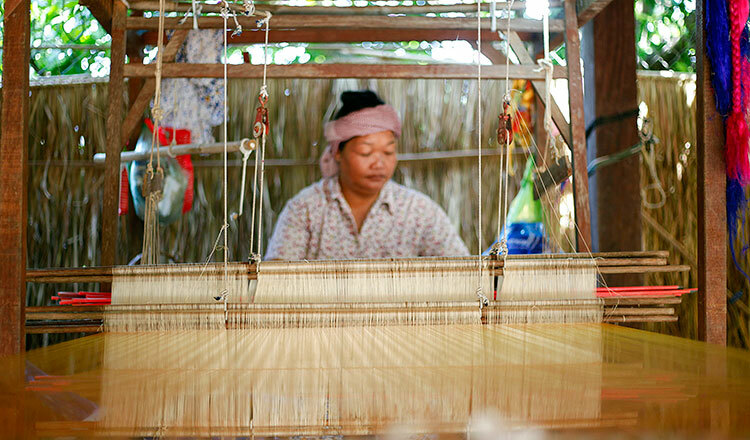 Speaking at ‘The real China model: What other developing countries should learn from China’ conference, Ms Ang said the use of local resources in Cambodia, such as the revival of the silk weaving industry, is an example of how authorities are driving development in the villages. This, she said, was parallel to China’s use of local resources to achieve its immense economic success, which resulted in the uplifting of the economic status of communities in remote areas and in various communes. But China did not use one model of development. The provinces were given freedom to decide what direction to take to achieve economic and social development. In essence, countries like Cambodia could learn from China by adopting “directed improvisation”, though that may not comply with Western best practices, she said. On the other hand, she urged countries like Cambodia not to blindly copy every aspect of the China model because it may not work. The Singapore born author said China’s development was more about how the country used its own local resources to achieve economic success. Cambodia could also give a broad scope of stakeholders a personal stake in the development, and foster ‘bottom-up’ improvisation within the society. “This is how China did it. They did it their own way. 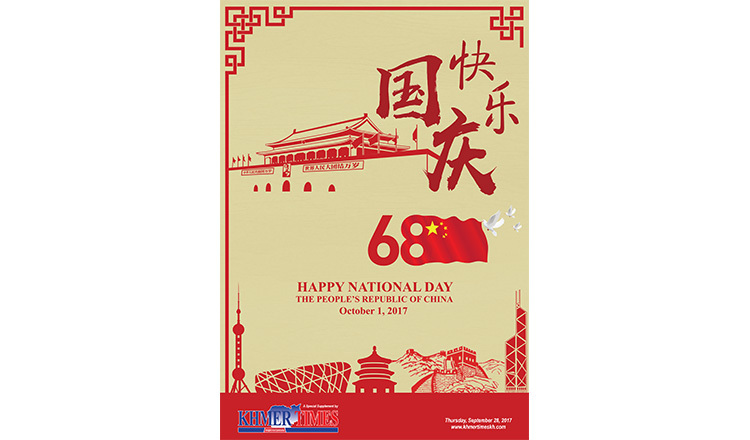 It is with a certain degree of pride and confidence that they decided they will do it the Chinese way by using local resources. 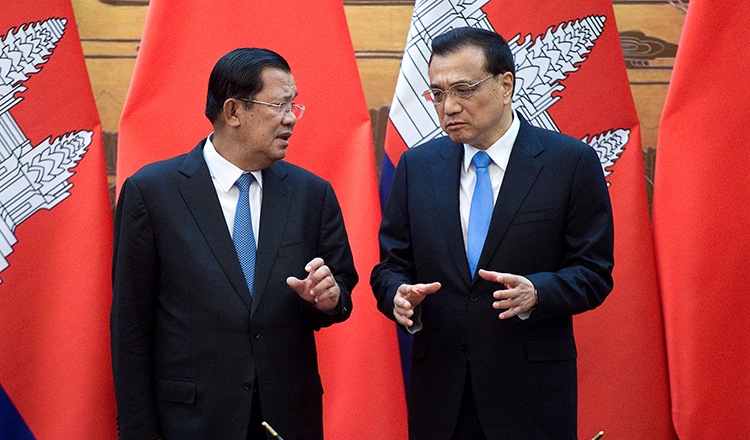 “But it will be a shame if China does not realise this uplifting aspect of the story and instead comes to countries like Cambodia flush with cash (like what is happening in Sihanoukville). “China should learn that other countries want to build their future their own way too,” she said during the public lecture in Phnom Penh. Organised by the United Nations at the Raffles Hotel Le Royal, senior officials from the Cambodian government, diplomats, UN officials, and development professionals attended the lecture. Ms Ang presented her work and explained how it relates to the opportunities and challenges in Cambodia’s socio-economic development. “When developing countries and partners think of the China Model, they often, incorrectly, think of it as purely a top-down model,” she explained. Her lecture debunks the common misunderstanding by systematically tracing the history of China’s economic and institutional changes from 1978 to 2012. In her book, Professor Ang points out that the real key to China’s success is not top-down control; instead, it’s “directed improvisation” – the mixture of top-down direction from Beijing and bottom-up improvisation among numerous local governments – that enabled a locally tailored pattern of development. Ms Ang said visitors to China are impressed by the gleaming infrastructure and rising wealth of China’s first-tier cities and may be tempted to conclude that such prosperity is the result of authoritarianism. In an article in Foreign Policy Magazine, she wrote it is important to note that even Chinese policymakers cannot come to a consensus on what the China model is. “In Beijing, elites are still debating whether it was Maoism or Dengism, central planning or decentralization, public investment or private capital, that played a larger role in China’s development – and what the right balance ought to be going forward,” wrote Ms Ang. There are certainly valuable lessons to draw from China’s development – the country achieved an unprecedented duration of sustained economic growth and lifted hundreds of millions of people out of poverty in the process, she wrote. “But it is crucial to draw the right lessons. Autocracy alone was not the key to China’s impressive growth. Rather, it was the introduction of some democratic qualities through bureaucratic reforms and Beijing’s willingness to allow and direct local improvisation that enabled the nation’s economic dynamism. “Instead of relying on top-down commands, the country leveraged local knowledge and resources, promoted diversity, and motivated people to contribute their ideas and effort. These characteristics should be familiar to any democracy; China just incorporated them into single-party rule,” she said.